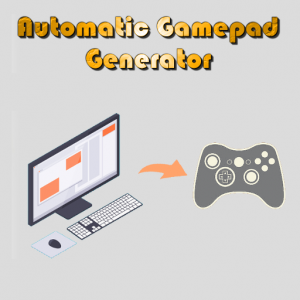 Auto Gamepad Generator – Ladmer Technologies, Inc.
Auto Gamepad Generator makes adding controller support to your existing game that has mouse/keyboard controls just a few clicks away. Takes less than 5 minutes to go from keyboard/mouse only to supporting controllers. Utilize the same Unity API and doesn’t require any code changes! So you’ve created your game with keyboard/mouse controls using Unity’s Input API for quick iteration in the editor. Perhaps you’ve thought about controller support but which controllers and which platforms? Then you looked into it and have realized that there are no standards on controller mapping at all and it’s a mess. Finally, something easy can be done about it! With Automatic Gamepad Generator you can support today’s most common gamepads within 5 minutes. No coding required and simply use our user friendly editor window to add the controller mappings that you desire for your game and that’s it! We generate the additional Unity Input Manager virtual axes and buttons for you. Existing code will now work for gamepads!